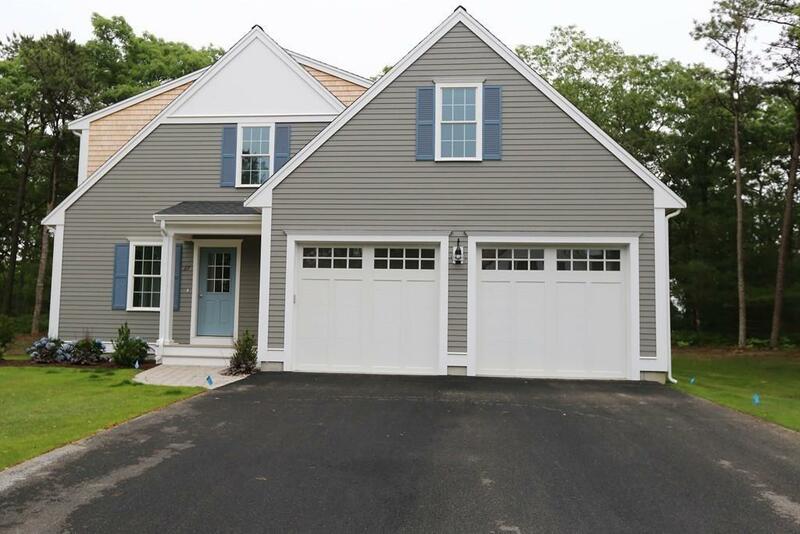 Plymouth's newest neighborhood at Deer Pond presents The Hawthorn, one of the custom designed homes by Campbell/Smith Architects of Duxbury, offering contemporary living combined with traditional New England style. Nestled among the pines of historic Plymouth the classic lines, open floor plan and superior quality make for easy living. Plymouth's new 39 home subdivision developed by experienced local builders boasts low maintenance building materials and detailed craftsmanship. Enjoy all the amenities of new construction w/1st floor master suite, spacious 2nd floor loft or 4th bedroom, attached 2 car garage, gas fireplace and the energy efficiency of natural gas & public water. Acres of open space and wooded buffers for a peaceful setting awaiting your finishing touches to design the perfect home. Nearby schools, YMCA, beaches & easy access to Rte. 3 to Boston & the Cape. OPEN HOUSE SAT & SUN 1-3 Interior photos of Model home. Choose your lot and house plan to be built. Listing courtesy of Sue Meharg of E.J. Pontiff Properties. Listing provided courtesy of Sue Meharg of E.J. Pontiff Properties.